The U.S. auto industry improved upon April 2015’s sales pace with a 3.5% year-over-year sales increase in April 2016, a gain made possible in large part because of huge gains fro top sellers. 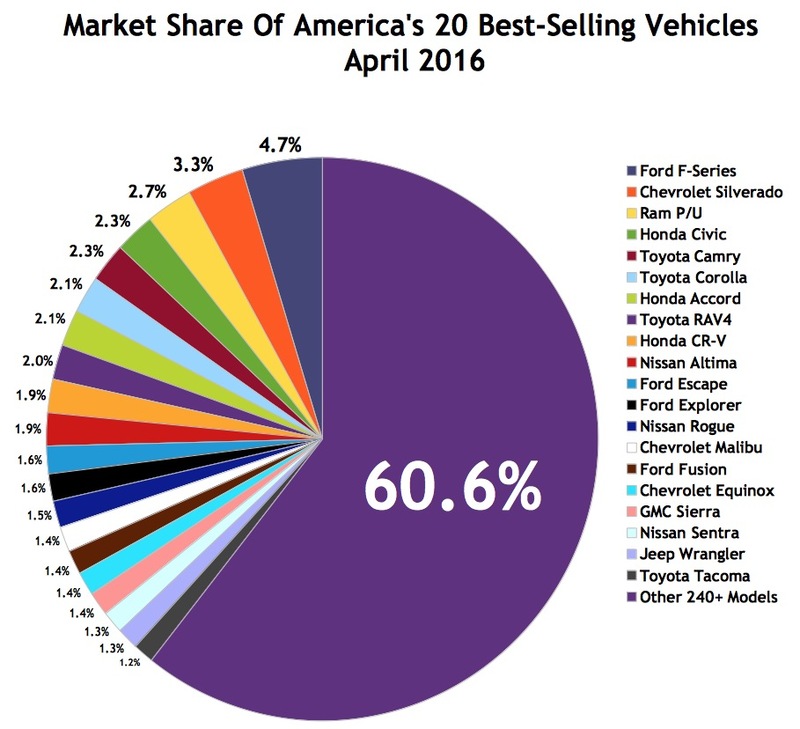 The Ford F-Series, Honda Civic, Toyota RAV4, and Dodge Grand Caravan – America’s best-selling truck, car, SUV, and minivan – combined for nearly 150,000 April sales in 2016, a gain of 29,000 sales compared with the same period one year ago. 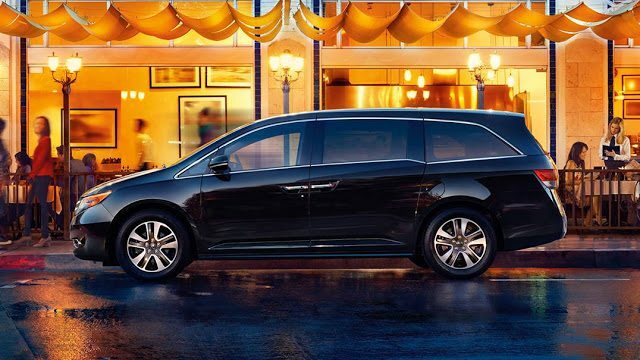 Compared with April 2015, this list of the 30 top-selling autos in America includes three vehicles which weren’t present a year ago: Honda Odyssey, Dodge Grand Caravan, Subaru Outback. They replaced the Kia Optima, Chrysler 200, and Hyundai Elantra. We’ve already published April lists for the 20 best-selling cars, 20 best-selling SUVs and crossovers, and complete figures for every pickup truck, links to which you’ll find above. Throwing all those vehicles into one group results in this list of the 30 best-selling vehicles overall. We end up with five pickup trucks, two minivan, 11 cars, and 12 utility vehicles. Historical monthly and yearly sales figures for any of these top-selling vehicles can always be accessed through the dropdown menu at GCBC’s Sales Stats page, and for those not viewing the mobile version of this site, near the top right of this page, as well.